I'm usually focused on scoping out the new restaurants, rather than paying attention to current specials going on at already established restaurants. And sure, many bars have weekly specials. But restaurants join in the fun, too. Here are some great ones. Let me know others in the comments below! Black Bear Burritos - Maniac Monday special for $5. Bring in a ticket stub from any Mountaineer athletic event or West Virginia Black Bears baseball game to receive any menu item from the "Special Guests" section for five bucks. The Wine Bar at Vintner Valley - Happy Hour from 4 p.m. to 6 p.m. Sunday through Thursday. Half off features: beer, wines by the glass, single mixer cocktails and pizzas. Table 9 - 1 Burger, 1 Bourbon, 1 Beer for $15. 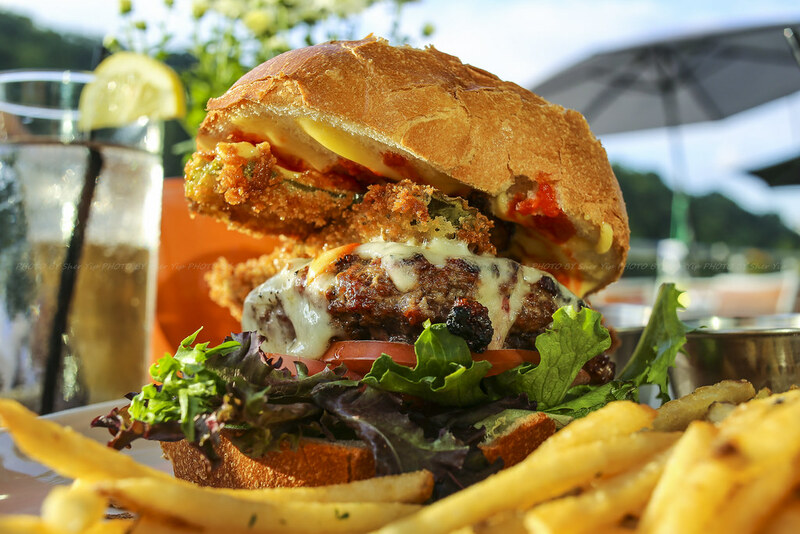 Each Tuesday, Table 9 crafts a special, house-ground burger with creative toppings. Order it along with a bourbon and a beer for $15. Black Bear Burritos - Burritos and Brews for $15. Choose a "Special Guest" menu item and two West Virginia craft beers. 123 Pleasant Street - Taco Tuesday at Atomic Grill. Atomic Grill's satellite location at 123 Pleasant Street offers tacos from 5 p.m. to midnight with $3 pints of craft beers. Mario's Fishbowl - Wing Day. Get a dozen wings and one large domestic fishbowl for $8.95. Pick your flavor - mild, medium, hot garlic, honey bbq, blazin' teriyaki, cowboy ranch, Greek and sweet chile habanero. The Vintage Room - Half price select appetizers. Fat Daddy's - Taco Tuesday. $1 to $2.50 tacos. Bartini - $2 sliders. Choose from meatball sliders, reuben sliders, buffalo chicken sliders and more. Mario's Fishbowl - Philly and a fishbowl for $9. Also, Worm of the Week drawing at 8 p.m. The Vintage Room - $7 select pizzas and 2-4-1 martinis. Mario's Fishbowl - Two loaded hotdogs and a domestic draft for $8. Bartini - Tuscan Tuesdays with all pastas half off until 8 p.m. and bottles of wine 25 percent off. The Vintage Room - Homemade pastas served with a side salad and garlic bread for $15 and half-price bottles of wine under $75. Black Bear Burritos - New specials available at both Evansdale and Downtown locations. The Backdoor - $5 Happy Hour Buffet. I've actually never been to this one (bucket list item? ), but it boasts an all-you-can-eat buffet including pizza, wings, meatballs, pasta salad and veggie trays. Sports Page - Happy Hour wing buffet from 5 p.m. to 8 p.m.
Sports Page - .35 cent wings. Tailpipes - Tailpipes offers a daily special burger. Atomic Grill - Atomic Grill offers a daily special meal.